I'm starting a new post series I hope you guys will enjoy: the Traditional Fashion Highlight! I don't know about you, but as a somewhat rootless American I really enjoy looking at traditional fashions of other cultures. While many Americans are still connected to their immigrant or Native roots, many of us have lost these connections over the generations and no longer have a "traditional" clothing we feel comfortable claiming. (Unless maybe we could call jeans American traditional fashion!) I hope someday to tap into my heritage a bit more, but for now I love learning about many native clothing styles! 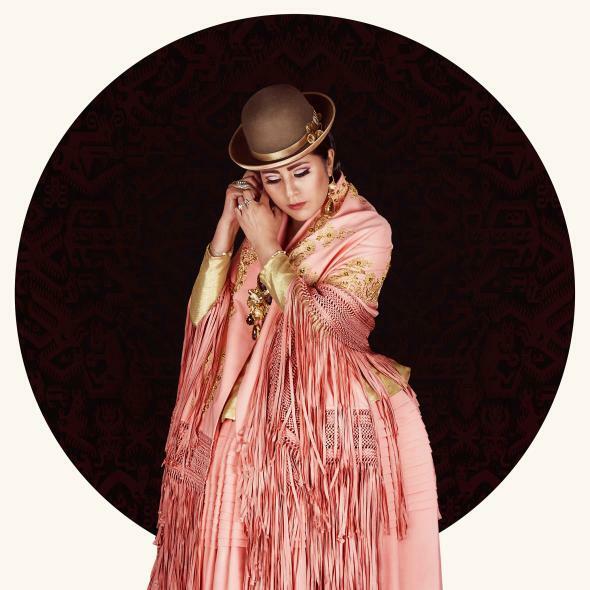 I also enjoy seeing how traditional fashions sometimes draw from other cultures and integrate them in their own way, much like the bowler hat in Bolivia or Indian textile influence in the Sana'ani sitara dress. We as modern people sometimes imagine that cultures of the past were separated and kept to themselves, when in reality they still interacted and exchanged styles and fashions with each other, often reinterpreting them in their own ways. I love the bowler hats, beautiful shawls and amazing fabrics. I also see a bit of 18th century Europe in the silhouettes, don't you? This article explains the difference between dirndl and tracht along with a bit of its history. This type of clothing is traditional to many peoples in the Alpine region. The Sana'ani sitara is a traditional dress worn by Muslim women in Yemen. This article talks about a bit of its history as well as how modernization has changed its look a bit. 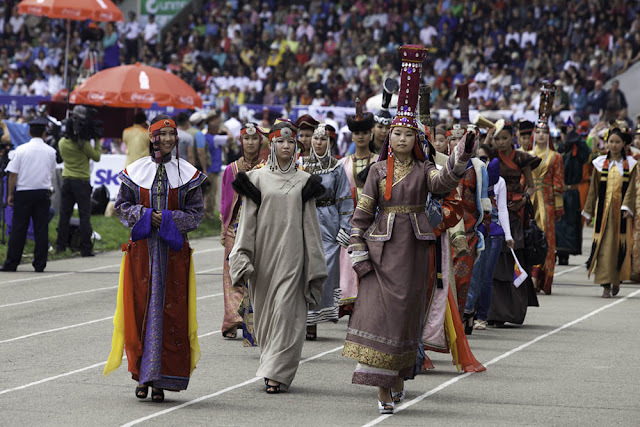 The Mongolian del has so many beautiful varieties depending on gender, status, season, occupation, etc. Aren't they gorgeous?! 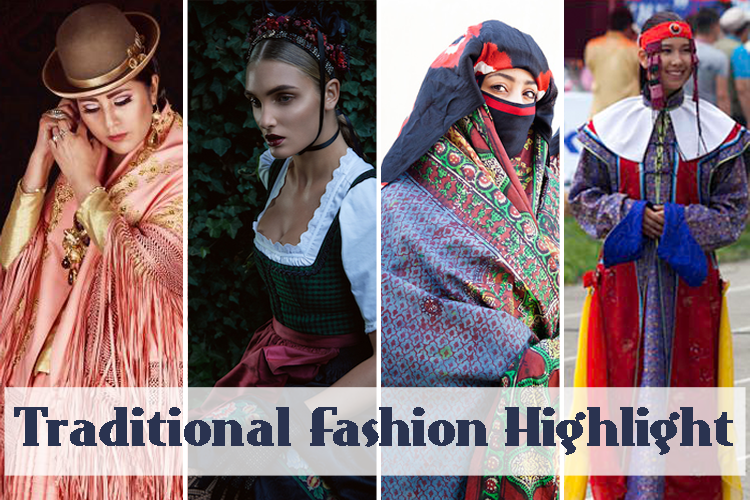 What do you think of these traditional fashion styles? Do they represent any part of your heritage? Are there any cultures you would especially like to learn more about? Oooo Myrthe I will definitely take you up on that! I love different cultures' traditional clothes. I'm a Brit - got a dash of Indian and Burmese ancestry but look white, so would feel uncomfortable wearing full Indian/Burmese clothing, but I would like to make some British-style clothing with fabrics from those places one day. Like Americans, we Brits don't really have a traditional clothing any more.